← End of the line for Facebook’s time? Ireland shivered its way into the new decade with the coldest winter on record. Powdery snow, utterly alien to Irish eyes, enveloped the land. Meanwhile in the Dail, relations between the Green Party and Fianna Fáil were also in a deep freeze. 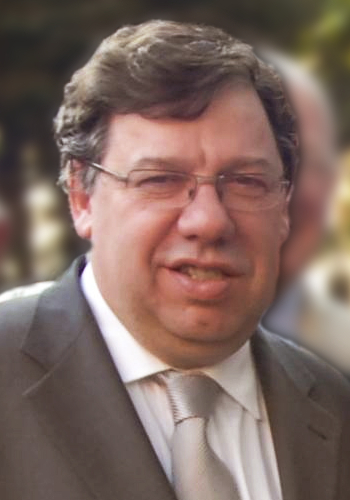 Brian Cowen (pictured below) resigned as leader of Fianna Fáil on January 22 after trying-and failing- to reshuffle his cabinet. A day later, the Greens pulled out of government. The Irish people took out their frustrations on the least popular government in history. Fianna Fáil were decimated, and the Greens wiped out completely. Our new Taoiseach, Enda Kenny, took office in March. His honeymoon didn’t last long however, as the IMF, ECB and European Commission were still breathing down our necks. The global financial crisis continued unabated this year, with the euro looking to be in serious danger of collapse. Greece lost their Prime Minister George Papandreou due to the crisis- and it looked as if the Greeks would be forced to leave the euro and the EU in November. However, a deal was brokered in early December which seems to have saved the currency. But it will be without the British, who wanted protection for London’s financial services. The recession deepened even further for the ordinary person. In New York, protestors began ‘Occupy Wall Street’ to show their dissatisfaction with the global financial system. The protests spread throughout the Western world. Protests about corrupt governments also took place in the Middle East. Known as the Arab Spring, these protests led to the toppling of regimes in Tunisia, Egypt and Libya. Libyan dictator Muammar Gaddafi was brutally killed in October after over 40 years in power. Ten years after 9/11, America commemorated the worst terrorist attack on US soil. And in May, US Navy Seals cornered and killed Al-Qaeda chief Osama Bin Laden in Pakistan. Still high from this victory, Barack Obama paid Ireland a whistle-stop visit while on a tour of Europe (pictured above). In College Green, Obama told us “Is feidir linn!” One of the more inspiring moments of the year was only slightly sullied by Enda ripping off one of Obama’s speeches. Of course, Barack headed down to his ancestral home of Moneygall in Offaly for a pint of Guinness. He actually enjoyed it too, unlike Queen Elizabeth II, who merely stared disdainfully at the pint poured for her at the Guinness Storehouse. Apart from that, the first visit to the Republic by a reigning British monarch went very well indeed. A historical moment came when she laid a wreath at the Garden of Remembrance in memory of all those who died in fighting for Irish independence. Her grandson, Prince William, made an honest woman of Kate Middleton (pictured below) in the wedding of the year in April. Kate looked stunning in her Alexander McQueen Grace Kelly-inspired dress. Like her late mother-in-law Princess Diana, her dress is sure to inspire many future brides. Sadly for Kate though, her big day was upstaged by her pesky little sister Pippa, whose pert bum earned her many male fans. Inspiration was in short supply when Ireland went to the polls to find a new president. The race was dirty and seemingly never-ending. Dana was a drama queen, Mary Davis was airbrushed, David Norris was in and then out and then in again, Gay Mitchell was non-existent, Martin McGuinness couldn’t escape the past. A Tweet undid Sean Gallagher, and it was veteran Labour man Michael D. Higgins who became our next president. 2011 also saw riots across the UK, earthquakes in New Zealand and Japan, and a horrific massacre in Norway by a right-wing extremist. Kim Jong Il is dead; long live Kim Jong Un. Dublin got washed away in October; Amy Winehouse, Steve Jobs and Liz Taylor exited stage left, and the Irish soccer team qualified for the Euro championships for the first time since 1988. Some economists pinpointed this event-and Italia ’90 two years later- as the beginning of the Celtic Tiger. We can live in hope that 2012 might be the year all our fortunes turn around. Just don’t mention the Mayans. This article appeared on Studenty on January 1 2012.